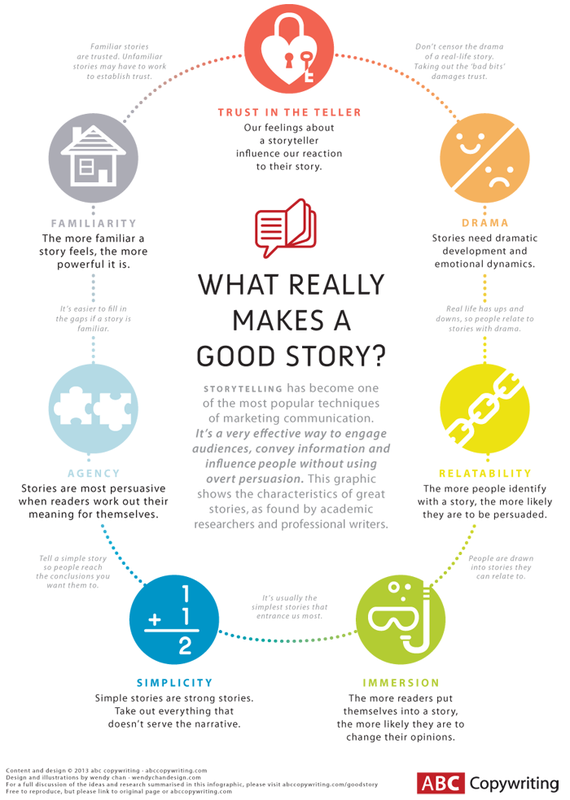 Storytelling infographic : What really makes a good story? A recent example of this is TSB’s ‘The Story’, which recounts the history of the bank from 1810 to the present day. As Nick Asbury has observed, this story is beautifully told and illustrated, with a clear narrative arc, but all the conflict and tension has been redacted. Glossing over the brand’s chequered history with the euphemistic ‘storm’ and ‘turbulent times’ leaves the audience hungry for more. Victory without battle is meaningless. Sometimes, a story is based on the quest for hidden knowledge, as in films such as The Da Vinci Code or The Fugitive. The same theme drives business-to-business case studies: the service provider is the hero who hacks through the thorns around the castle, revealing the way forward. But the client may resent that narrative if they feel it makes them look stupid or helpless. Drama is linked to both trust and relatability. A true storyteller has no agenda; they just want to tell their tale. If you censor the ‘bad’ parts of your story, you reveal your intent to manipulate, which damages trust. And because people know from experience that life isn’t a bed of roses, they’ll relate to your story more if it has a few twists and turns along the way. The more familiar a story feels, the more powerful it is. Stories are never heard in isolation. We evaluate new ones by comparing them with all the other stories we’ve heard before. And stories with seemingly different events, characters and settings may still share the same underlying structure. Researchers have found that the more familiar a story feels, the more powerful it is. The stories that delight us most are often built on age-old templates. If your ambition is to tell a ‘new’ story, bear in mind that if it’s too original, to the point of strangeness, audiences may be confused or repulsed rather than intrigued. In The Hero with a Thousand Faces, Joseph Campbell put forward the idea of the Monomyth – an archetypal narrative structure that describes a ‘hero’s journey’. The hero is an ordinary person who hears a call to adventure. They must then leave their home or family and travel a road of trials, either alone or with assistance. If they succeed, they return to the ordinary world with a prize that has the power to improve life. The Monomyth is sometimes expressed as a three-part structure comprising departure, initiation and return. In his excellent post Why Stories Matter, Tim Rich summarises the key elements of a commercially oriented story as challenge, action and transformation. The Monomyth forms the basis for the stories of Homer, Prometheus, Moses, Osiris, the Buddha and Christ. More recently, it’s been used to drive the stories of cinematic heroes such as Luke Skywalker in Star Wars, Neo in The Matrix and Maximus in Gladiator. Looking at these examples, it’s worth noting that the Monomyth hero is typically male, and that the heroine’s journey might take a different path. While the Monomyth can give a satisfying ‘weight’ to a story, it doesn’t fit with everyone’s experience. This is a very important point for marketing storytellers. John Lewis’ Christmas advert for 2012 used a classic Monomyth structure. The snowman ventures forth from his natural home, contends with natural and man-made obstacles and retrieves the prize of a hat, scarf and gloves for his snowwife. It’s entitled ‘Journey’, and I noted at the time its similarity to Journey, a video game explicitly based on the Monomyth. The Monomyth may be ancient, but it never gets old. That’s why John Lewis can keep going back to the well, as long as they find a way to refresh the formula. This year’s ad features a cartoon bear and hare, but the underlying structure is the same: the hare sets out to bring back an alarm clock for the bear so he can wake up and see Christmas. Simple stories are strong stories. Take out everything that doesn’t serve the narrative. All the strength is in simplicity. All the weakness is in complexity. Commercial storytelling isn’t like factual reporting. You don’t want to dump a load of stuff on the reader and let them draw their own conclusions from it. Instead, you should describe a narrative arc from A to B from which readers will extrapolate a path to conclusion C. To do that, you have to preserve the purity of the main storyline. Observing the three Classical unities is a good way to do this. Originally proposed by Aristotle as rules for dramatists, they apply equally well to any story. They are the unity of action, the unity of place and the unity of time. The unity of action says that there should be one main strand to the narrative, with no or very few subplots. The unity of place says that the action should take place in a single location. Finally, the unity of time says that the timespan of the story should not be longer than 24 hours. Many Renaissance playwrights observed the three unities slavishly. Modern films that stick to them include Die Hard and, at the extreme, Phone Booth, which is a continuous, almost real-time narrative centred on a single street. But we also have films like Pulp Fiction, which goes out of its way to mess with all three unities and throws in a discontinuous timeline for good measure – and still tells plenty of cracking stories. With that in mind, you might not want to bend your story out of shape by imposing such strict rules on it. If it’s factual, you might not be able to. But even if you don’t obey them to the letter, the three unities can still help you identify what is essential, and what is optional. For example, to preserve unity of action, you might want to leave out less important events, combine two minor characters into one or efface the fine distinctions between certain products. If your story is centred on one particular location, you could take out or minimise mentions of other places. To preserve the unity of time, you might want to restrict your narrative to a particularly eventful period and use the pluperfect tense to pull in important earlier events as ‘flashbacks’. Let’s go back to the example of case studies. They often work well with a Monomyth structure. The story starts with the problem to be solved (departure), develops with the approach taken by the service provider (initiation) and concludes with the benefits delivered (return). Sticking to the Monomyth pattern gives the narrative a pleasingly simple structure. However, there is always the temptation to cram in all the ‘extra mile’ things that were delivered along the way. This impulse must be resisted, or the story will not have the unity of action. If the deep structure of the narrative is hidden, a story loses the power of simplicity. The more readers put themselves into a story, the more likely they are to change their opinions. Researchers into persuasion believe that we process messages in one of three ways: centrally, peripherally or through immersion. When we process a message centrally, we deeply engage with it and carefully evaluate its claims, and may make a lasting change in our beliefs or opinions as a result. However, we only do that when we have a personal stake in the message. Otherwise, we’ll process it peripherally, which means we deal with it in a much more casual way, basing our judgement on the appeal of the speaker or even our own mood at the time. Any change in attitude following peripheral processing is shallow and fleeting. None of this is news to marketers, because it links directly to the importance of benefits. 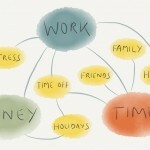 Messages about relevant benefits are processed centrally, since they speak to our self-interest. Less relevant messages vying for our attention are processed peripherally. However, recent research suggests that we process stories by a third route, called immersion or transportation. When this happens, we put ourselves into the story, experiencing its events and emotions as if we were the main character. And this can lead to changes of opinion that last and even strengthen over time – even when we don’t care that much about the issue at hand. Researchers have also found that the more we immerse themselves in a story, the more likely we are to report beliefs that are consistent with it. Once we suspend our disbelief, we’re less sensitive to ‘false notes’, or statements that don’t ring true within a story. We’re also less likely to raise objections to its core message. So science does actually confirm marketers’ big claims on behalf of storytelling. As long as they’re good enough to achieve immersion, stories can change our behaviour profoundly and permanently, even when they deal with something we previously cared nothing about. The implication is clear: once you’ve got someone listening to your story, you’re halfway towards gaining a customer. But how do you achieve immersion? The question takes us away from science and towards art. Stories enchant us with a mix of melody, rhythm, spectacle, mystery and surprise. Stories are magical; we can’t always take them apart to see how they work. Immersion goes hand in hand with drama, simplicity and familiarity. When we immerse ourselves in a story, it’s not usually because we’re tangled up in its details. It’s because we’re drawn to something elemental and timeless. Here’s the start of The Iron Man by Ted Hughes, one of the finest openings to a story I’ve ever read. Using only the simplest strokes and a hypnotic, incantatory rhythm, Hughes instantly conjures deep mystery and foreboding, making us want to step right off the cliff along with the Iron Man. We can’t all be poets laureate, but such magic can certainly be worked in the commercial world. Witness the spellbinding Guinness Surfer – an enigmatic 90-second take on the Monomyth that also begins with an impassive figure staring out to sea. 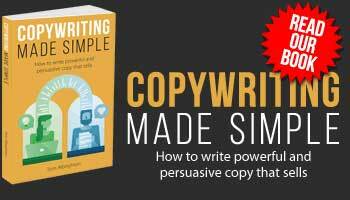 The more people identify with a story, the more likely they are to be persuaded. If you want readers to immerse themselves in your story, make it as relatable as you can. The more people identify with the main character of a story, the more likely they are to feel ‘transported’ by the narrative and buy into its message. Relatability isn’t the same as plausibility. We can feel for a character if we haven’t lived through the events in their story, or even if those events are completely unrealistic. Think of Alice in Wonderland or Lord of the Rings. The classic Yellow Pages ads of the 1980s are a great example of relatable storytelling. The double whammy of brilliant copy and ’emotional’ music effortlessly enlists our empathy and we buy in within seconds, happily jettisoning our reservations about plausibility. The feeling of warmth is so expansive that the link to the brand feels generous and necessary rather than crass and gratuitous. Incidentally, this is another Monomyth narrative, which is why its resolution is so satisfying. The twist on the formula is that the ‘prize’ is something that the hero himself has lost, and must regain. Stories are most persuasive when readers work out their meaning for themselves. Researchers have found that stories aren’t persuasive if the ‘moral’ is made too explicit. In other words, even though a story may follow an utterly familiar format, we still want to unpack its meaning for ourselves. This parallels the well-known advertising principle of ‘show, don’t tell‘. When you use stories to persuade, it’s better to leave a few gaps and let the audience join the dots. 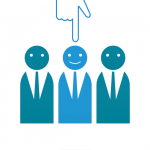 This draws them in, makes them feel clever, and reinforces their positive feelings about the story and your brand. For example, see how Subaru’s ‘Baby Driver’ ad leaves the viewer to infer the benefits of safety and reliability for themselves (thanks to Coreen Tossona for blogging about this ad). Agency is linked to immersion and simplicity. Inviting the audience to get involved in the creation of meaning helps them get into your story. But their attention is always limited, so if you want them to arrive at a particular answer, it’s best to make the question as simple as you can. There are also parallels with familiarity and relatability. The more familiar the story structure is, the easier it is for the audience to add in the missing pieces. And if it’s a story they can relate to from their own lives (like the Subaru ad above), their emotions will confirm their intuition. Our feelings about a storyteller influence our reaction to their story. Stories always have storytellers. We might be hearing them at bedtime, reading them in a novel or watching them in an advert, but we always have a sense of who is ‘telling’ us the story, whether it’s a parent, an author or a brand. And our reaction to their story will be coloured by our feelings about them. This means that brands’ efforts at storytelling are rooted in their existing brand equity, not to mention their historical media spend. When a brand tells a story, our buy-in is affected by how much we already trust that brand. And that may be the result of past marketing activities that have nothing to do with storytelling. So while a challenger brand might be able to craft a wonderfully familiar, immersive and relatable story, its power might still be limited because the brand simply hasn’t had time to earn our trust as a storyteller. Similarly, if a brand has done something to erode trust – like BP did at Deepwater, or Gerald Ratner did with his famous speech – even the most skilful storytelling will not restore it. It’s interesting to consider trust in relation to the growing popularity of storytelling as a technique. Right now, John Lewis can successfully differentiate their brand with an ad that is pure story. But as more and more brands jump on the bandwagon, we may begin to ration our emotional investment in their stories, having had the sleeve of our empathy tugged once too often. Trust in the teller is crucial in politics. In the run-up to the Iraq War, Tony Blair spun a ‘Saint George and the Dragon’ tale of faraway evil that had to be defeated. He got his way, but when his story unravelled, trust in him evaporated. Across the Atlantic, Republicans were very successful in characterising Democrats as snobby, elitist East Coast intellectuals. Once this idea took hold, people saw the stories Democrats told as cynical and manipulative, even when they were rooted in fact. This fatally undermined the appeal of Al Gore and John Kerry, among others, until Barack Obama turned over a new leaf. When they want to appeal to voters, Conservatives tell comforting narratives of preservation or restoration that conform to archetypes like the Monomyth and are essentially backward-looking. But progressive storytellers want to tell new stories, with different heroes (or heroines), different quests and different endings. The problem is that stories that lead to an alternative future are inevitably unfamiliar, so they inspire distrust. Perhaps the best approach is to begin with the familiar, build immersion, relatability and trust, then tweak the reader’s agency to make a new and unexpected point. The ad below does this brilliantly.